THE MAXIMUM CAPACITY ON THIS MACHINE IS 12"
IF YOU HAVE A BRANCH THAT IS 12" AND IT HAS SMALLER BRANCHES COMING OFF THE SIDES YOU WILL BE EXEEDING THE CAPACITY OF THE MACHINE. SMALL BRANCHES SHOULD BE TRIMMED WITH LOPPING SHEARS, THIS WILL SPEED UP YOUR PRODUCTION. 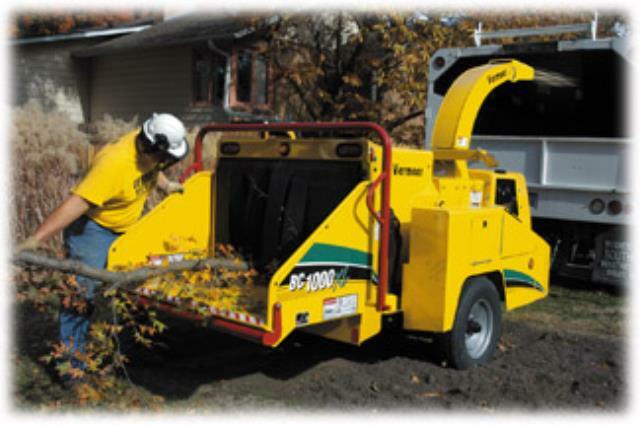 HEIGHT 97" - LENGTH 170" - WIDTH 67"
* Please call us for any questions on our chipper 12 inch towable 29132 rentals in Sterling VA, Herndon VA, Leesburg VA, Reston VA, Chantilly VA, McLean VA and Greater Arlington VA, Alexandria VA and Bethesda MD.